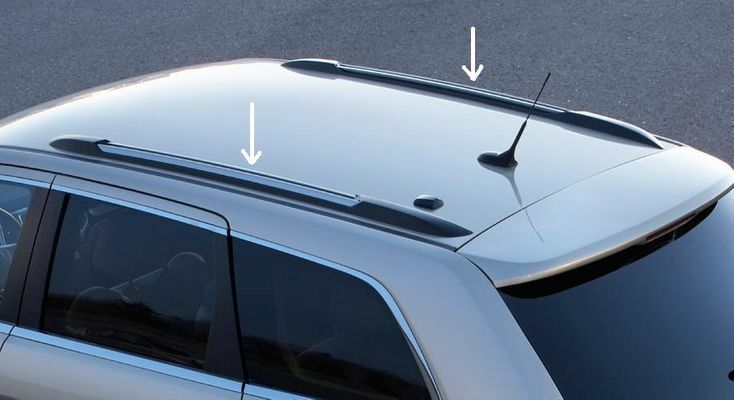 Add a little shine and functionality at the same time with a set of genuine factory Mopar chrome roof side rails for your Grand Cherokee. 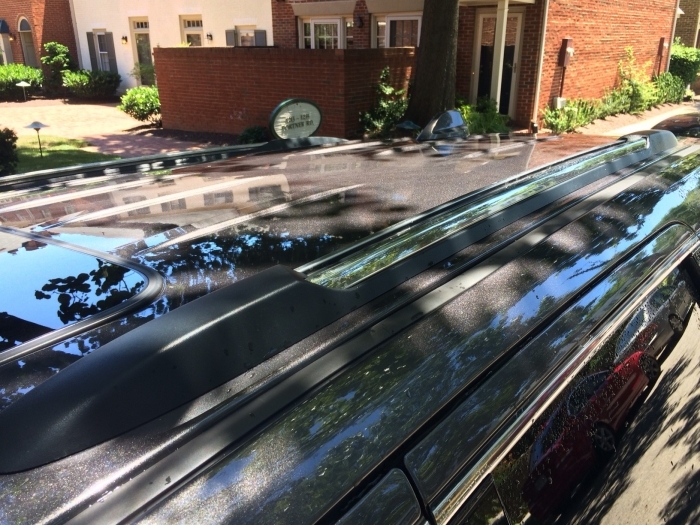 Roof side rails are a first step toward being able to mount other accessories for carrying sporting equipment or extra cargo. 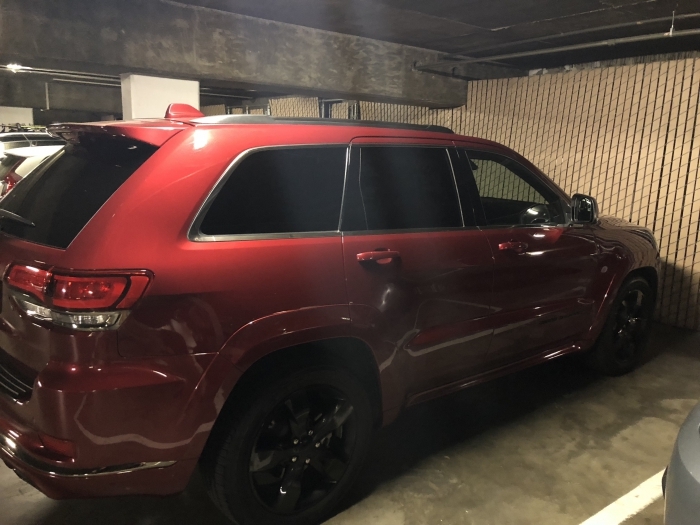 Note that these chrome side rails are not a direct replacement for the black plastic rails that come as standard equipment on some Grand Cherokee models. 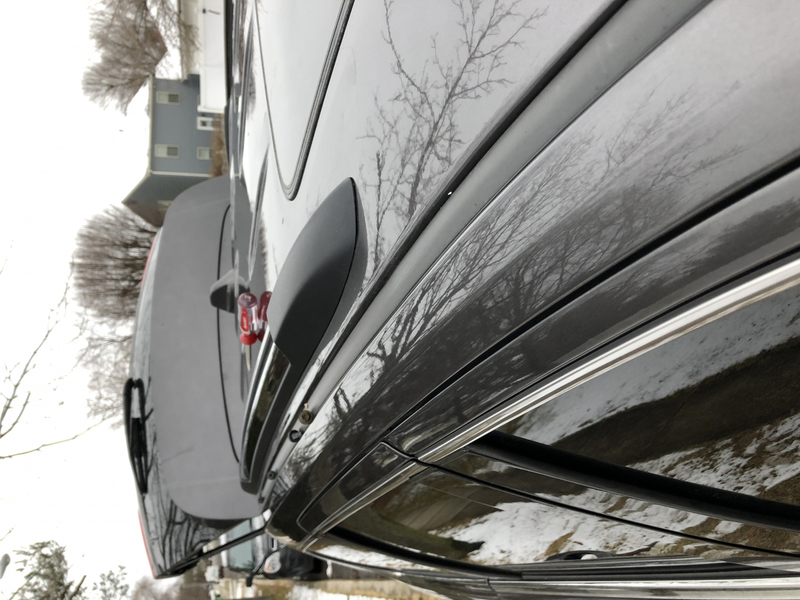 If you're uncertain about installation, consider having the chrome side rails installed by your Jeep dealer or a body shop. No need for additional equipment at all. A bit tricky (as others have mentioned), but shouldn't take longer than 30-40 mins. They look fantastic. Installed Brightlines crossbars right after. Bought these to replace the black, non-functional trim pieces Jeep installed as some sort of cruel joke. 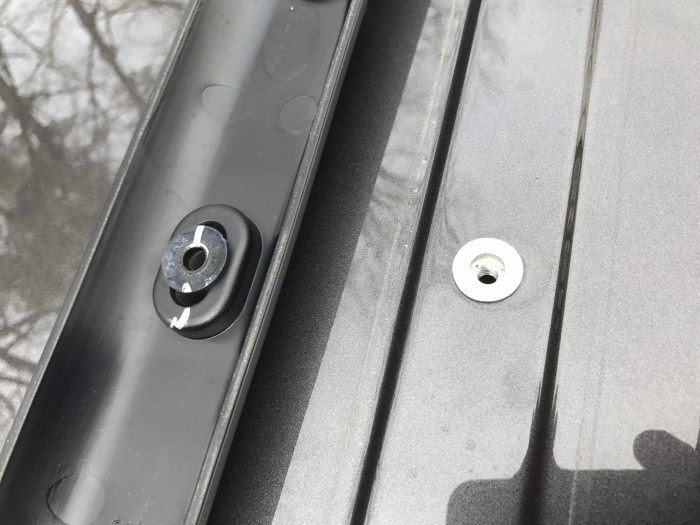 Installation was simple, as others have said I pulled the black plastic washers out of the old trim piece, glued them to the middle screw holes to eliminate the gap between the roof and the side rail, slid rail into place, and tightened it down. Paired them with the Brightlines crossbars and now have a fully functional roof setup. ConsA little tricky to set front and back screws to the perfect height so there is no gap between the roof and rail. You can use one of these side rail kits to replace the nonfunctional rails that are currently on your Grand Cherokee. Installation was quick and easy. Remove the old "rails" and keep the screws and washers. Put the washer and screw in for the front and back and line up the washers on all other holes. Then place the rail on roof and slide so the front and back lock onto the screws which are protruding slightly due to the washer. Line up the other screw holes with the washers under the rail then tighten. Took about 30 min total. ConsNot a "perfect" match for existing roof "rails" on 2015 GC Altitude but its close enough (nobody is looking at the roof! Listen up, this is how you do it! Take off the roof trim and keep the screws and washers. Pick up some clear liquid weld (it comes in two tubes like epoxy that you mix together) and four 3/8" washers as shown in the photo attached. Glue two washers to the top of two screw heads and two washers to the bottom of two screw heads (see the photo). Place the two screws with the top mounted (glued) washers in the front screw holes and the other two screws with the bottom mounted (glued) washers in the rear screw holes. The top mounted washers are required to keep a thin (low profile) screw head that will fit the thin connector attachment at the front of the side rail. Slightly arc the side rails and slide them over the screw heads so they catch (adjust each as required to get them the correct height. Once the front and rear of the rail is attached insert the rest of the screws and tighten them all down. Buy the $99 lockable BRIGHTLINES crossbars, they are better than the $275 non lockable dealer crossbars. Got it? ProsNone - the end result is a sweet looking and functional roof rack, more than likely better than the one Jeep opted to stiff the unsuspecting Jeep owner for (under $400 all in). As with everyone else not happy that Jeep put on "designer"/non functional rail on the Altitude/High Altitude models, but at least there's a fix. Super easy to install using the original hardware and a torx bit (star wrench). Takes about 20 minutes with 0 hassle. Very easy to install and it fit just like the technician saiid it would. ProsFast delivery and easy to install. I found out-like most people- that the roof rails Jeep put on the Altitude editions was nothing more than useless molding. No worries tho. 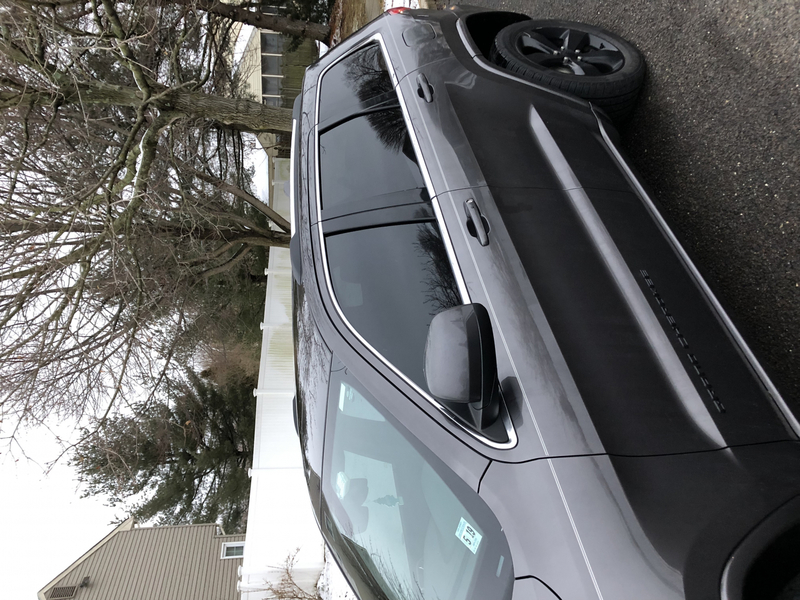 I installed these on my 2013 Grand Cherokee Altitude and it was very easy. No modification required. The only trick is to move the front bolts to the back. They have a thicker washer that works better that way. Well, I have ordered the removable cross bars from Just forJeep. I am not satisfied that no cross rails from Trule fittt the rails. I was hoping that the Trule low profile cross rack would of worked. ProsNothing yet, I'll let you know after get my cross rails from Just for Jeep! ConsI hope I do not have to return... I throw the box away. The mopar rails I ordered were shipped quickly and were as described on Just for Jeeps. Install of this product was pretty easy, as another reviewer suggested I took the plastic washers on the old rail molding and glued the to the 4 middle holes to cover the little bit of gap that was present. As for the front post I removed the washer on the bolt, placed the plastic raised washer from the trim on it, upside down and tightened it all the way. This raised it to the proper height and the plastic washer was a little wider to cover the front "slide in portion". People have mentioned concern for leakage, no way. The bolt area is raised, and it will be covered by the rails. It would have to be pretty much submerged for that to be an issue. Over all, a pretty good fit, I noticed a little bit of lift at the very rear of the rails even when it's tightened all the way down, but nothing too noticeable. I want to add that Just for Jeeps were quick to answer questions I had about the product through email. In the attached photos I removed the chrome rail, scuffed it, and painted it black. ProsMakes the roof usable again! First off, this is a waste of time that Jeep should have eliminated by providing them stock, but this isn't Jeep's forum. 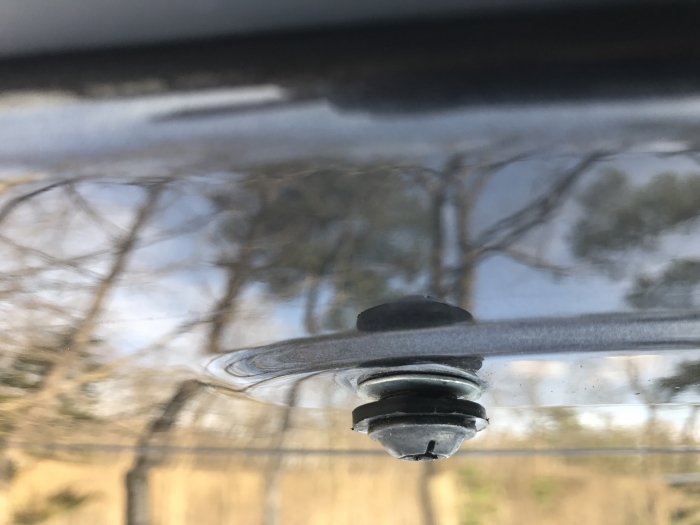 At first I got very frustrated because the part that slides onto the front screw (slides on from back of car) was too wide to hold the washer so it kept popping up, but if you slide it on and get some screws in it keeps it to the side and holds. Once I figured this out it was simple. I did not buy anything and was able to use all the old hardware. When you pull off the old rails there are rubber spacers most of which you need to pull off the removed rail. I used Gorilla glue to glue these over the 4 middle holes so they would stay in place. Then I put the front and rear screw in. For the rear screw I flipped a rubber washer upside down and just tightened the screw to minimum height. For the front I took the rubber off and just left the screw with washer about 1/4" up. I then slid the rail over top and put all four screws back in tightly. The rubber spacers filled the gap and I was able to tighten the rails without adding any extra spacers as mentioned by others. They are extremely tight and I'm excited to get cross bars finally. As I said, all I used in addition to his product was some gorilla glue and wet paper towels to clean under the old ones. It must have cost Jeep a similar amount to manufacture fake ones than it would to just add real ones.... not impressed by that choice, but this product works great. 2nd one took me about 5 minutes once I figured it out. I don't mind that they are chrome because Jeep also made the mistake of leaving the window surround in chrome so they match. Should have been black on Altitude. ProsWork great. Use original hardware. Hole patterns match up. Free shipping - ordered on Thursday afternoon arrived Saturday morning. ConsThey did not label left/right and which side is front, but easy to figure out using bolt pattern. No instructions. Front screw slot is not sized properly to securely hold screw even with washer. Doesn't necessarily need to include new hardware, but old ones do not fit perfectly without being creative and some struggle. 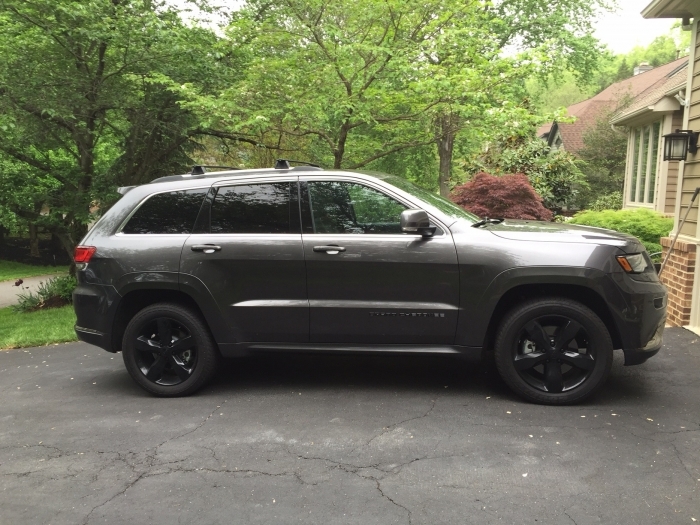 The 2016 Grand Cherokee we settled on at the dealership lacked a useable rack but it seemed to me this could be swapped. 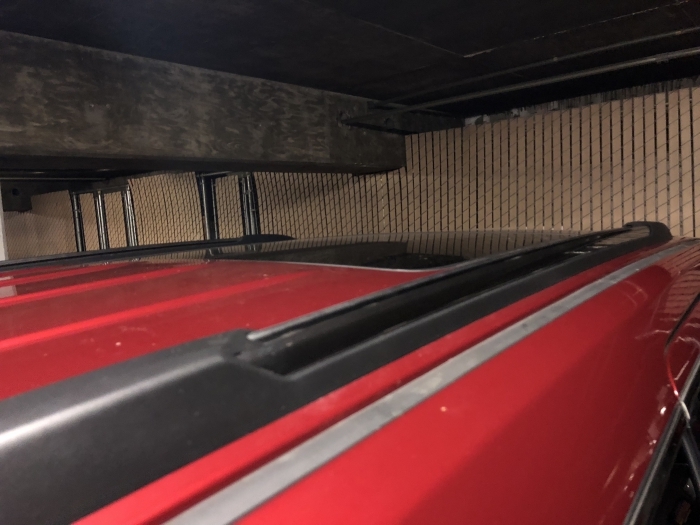 I called 3 Jeep dealership parts departments with pictures of my low profile roof rails looking to purchase a rack and they all told me it couldn't be done. They told me I should have purchased a one with a rack if I wanted a rack. It was insane. I go to Just for Jeeps, they looked at my picture, verified this product would work and even sent me a link to an install tutorial. The job to me about 20 minutes. Needed a T30 Torx bit for the screws on my 2016 GC. Otherwise, the hardware seems to fit fine. 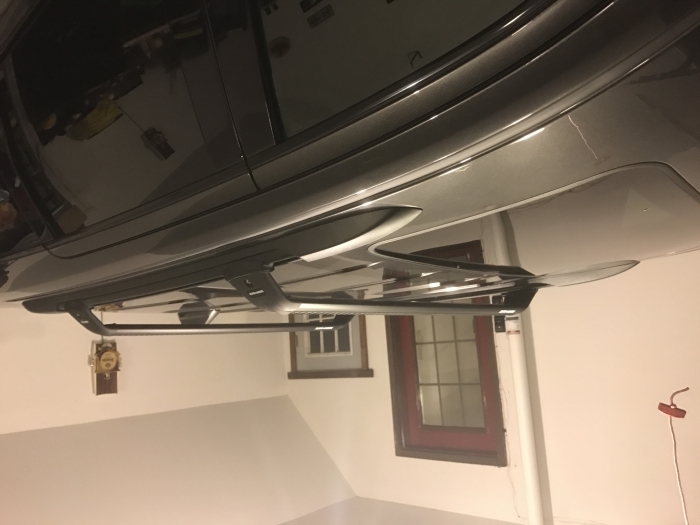 This replaced the fake rails (shame on Jeep) that were on my 2015 Grand Cherokee. Perfect fit all holes lined up and was an easy install! ConsNeeds spacers to avoid mashing down the rail. These rails were exactly what I was looking for. I have a 2014 GC Altitude, which came with black trim rails, not functional rails to mount cross bars too. I received them in 2 days, to Northern VA with standard free shipping. Installation was super easy. Took only about 30 minutes to remove the trim rails and mount these. You get both left and right rails. Only need a star wrench. Like an allen wrench, but starred. Use the original hardware that is holding your black trim pieces up to mount these replacement rails. Put the front and back bolt back into roof. Don't snitch them down all the way. Leave about a 1/4" up to slide the new rails into place. The left and right rails will be different on the bolt pattern. They only line up one way. I had to play with it for a minute to get the 1/4" just right and tight, before installing other 3 bolts. Use other 3 bolts to tighten into place. You will not use the washers that were on your trim rails. At least I couldn't figure how they would help. The rails are snug and tight. I have no concerns (like others said) about mounting cross bars and then gear box, ski racks..... I'm excited to have a functional Jeep to mount all my gear on. Jeep should be ashamed for producing a Jeep with trim, not actual functional rails. Prosfast shipping, easy installation, original equipment, perfect fit. ConsDirections would be nice, but I found threads online with photos. The 2016 Grand Cherokee High Altitude does not come equipped with functional roof rails. 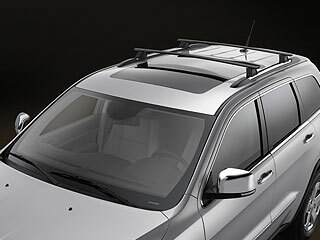 They are purely decorative, which I discovered after purchasing a set of Aeroblade roof racks. The rails came promptly & in good condition. The install is a little tricky, being that the very front & very rear attachment bolt are inaccessible when the rail is installed. This means the bolt has to be threaded to the exact depth to slide over the retaining clips at both ends, otherwise there's a gap on the ends between the roof & the plastic end pieces of the rail. Other than that, the instal was simple. Saw the previous review and decided to go for it. The install was amazingly simple and really took less than 30 minutes for the side rails and crossbars ( 82212072AC) . The crossbar rubber strips we're a bit of a pain to install however ( a little soapy water did the trick ) . I did put nylon washers between the rails and the weld nuts and put some Stripi-Calc around the bolts to waterproof them. Used the original factory screws that were on the decorative strip already on the car and put some loctite on them when I reused them. While the parts all feel a little flimsy when you pull them out of the box, the set-up seems rock solid once bolted in. I will probably take the rails out and have them powder coated black to match the High Altitude theme ( I think this would also make sense for any SRT ) . If you don't mind the stainless steel part, thenno need to do anything but just bolt them on. ProsEasy install, no drilling or modifications to the car or the parts. Everything bolts right in and fits perfect. 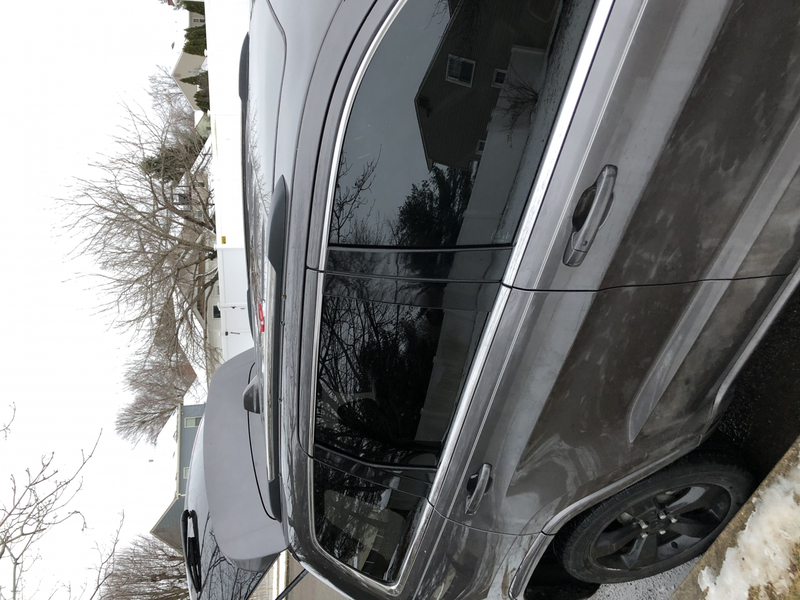 Possibly the best solution ( with 82212072AC cross bars ) the for a Grand Cherokee High Altitude.JustforJeeps pricing was competitive with the free Fedex ground and the parts arrive in two days ( to Virginia ) which was very quick. ConsThe side rails do have the stainless steel track which detracts from the "blacked-out" High Altitude look on my Jeep. Use the same screws that hold the plastic rails, but add loctite. Need to add spacers between the roof and the rail on 3 of the screws. Just go to a hardware store for these. ProsPerfect fit. Easy install once you think it thru. ConsHave to figure out which side each goes on. Minimal instructions. Need to add spacers. Got parts as requested as requested. ConsOne suggestion instead of using right or left side please add passenger or driver side. I assume right is passenger but maybe a bit easier for us who dont know if is right is from back looking at the jeep or from the front looking at the jeep. I am not a mechanic, Novice would be an overstatement for me. Even though it looks pretty straight foward, its not, there are six holes but the ends dont screw in, looks like there is suppose to be some tabs that the rails sit on dont know, and no where is there any documents on the net. if there is suppose to be a kit or extras need to add these please make note in the parts listing, the rail both scratched on the chrome.